Athens is known the world over for its ancient monuments – and no visit to the city would be complete without visiting its most iconic landmark, the Acropolis. Dating back to the 5th century BC, the Acropolis is made up of the Parthenon, the Erechtheion, the Temple of Athena Nike and the Propylaea, and embodies the highest ideals of Ancient Athens - harmony, beauty, proper measure, liberty, knowledge, virtuous competition and democracy. The Acropolis and its surrounding area - including the Acropolis Slopes, the Ancient Agora, the Areopagus, the Pnyx and the Hills of the Muses, the Roman Agora and Library of Hadrian – are at the historical heart of the city. Walking through them, it doesn’t take too much imagination to picture Ancient Athens as it was back then. The monuments are intrinsically linked with the birth of Democracy and they symbolise a precious part of the cultural heritage of Greece and western civilization ever since. Those ideals have echoed down through the centuries and can still be heard today. The Middle Ages and Ottoman Period, however, were trying times for Acropolis and the surrounding sites. They suffered as a result of natural disasters like earthquakes, but more so at the hands of man. Some monuments were reused as palaces, churches, mosques and residential areas. But perhaps the greatest damage occurred when an explosion rocked the Acropolis during Morosini’s siege in 1687, and (as many Greeks will tell you) as a result of Lord Elgin’s looting of the marbles (1801-1803). These events irreversibly altered the face of the Acropolis more than anything else in its long history. Exploration and excavation of the sites began a few years after the establishment of the Greek state in 1834, and continued until about the middle of the 20th century. Important restoration programmes are now underway on several monuments. In 1997, the sites around the Acropolis were included in the project for the ‘Unification of the Archaeological Sites of Athens’, one of the city’s most ambitious urban planning projects ever. This has seen the creation of 3-km long pedestrian walkway-archaeological park in the centre of the densely inhabited modern city, with whole areas (such as the East, West and North Slopes of the Acropolis, the Western Hills and the Library of Hadrian) restored and are now open to visitors. In all, the pedestrianised site covers more than 1,000,000 sq.m. The project won 3rd prize (Diploma) in the ‘Conservation of Cultural Landscapes’ category of the annual European Union Prize for Cultural Heritage/Europa Nostra Awards in 2005. The pedestrianised zone formed by Dionysiou Areopagitou and Apostolou Pavlou streets hosts cultural events, including an annual summer Book Fair and art exhibitions. The Theatre of Herodus Atticus is also an important venue for theatrical, musical and dance performances, giving visitors the opportunity to experience a unique blend of ancient and modern civilisation. Greeks are rightly proud of their heritage and they are keen to share it with the world, so special consideration is providing visitors with information, with detailed signs, publications, leaflets, guides and audiovisual material in English and Greek. 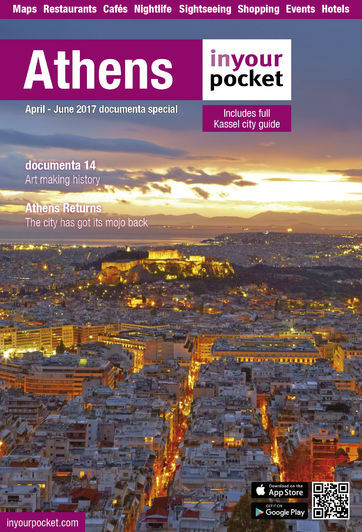 Educational programmes are also available to introduce children to Athens’ unique monuments and raise awareness of the importance of respecting and protecting the cultural heritage they represent. Though Athens is generally not an easy city to get around for people with mobility problems, efforts have been made at the Acropolis with an arrangement of pathways with ramps at specific locations to enable such visitors to visit - or at least view - the most important monuments, and the installation of a lift on the North Slope means that disabled visitors can now get a close-up view for the first time. UNESCO proclaimed the Acropolis site a World Heritage Monument in 1987. The administration of the sites is funded by National Resources, while the majority of the restoration programmes and the project for the Unification of the archaeological sites surrounding the Acropolis is co-funded by the EU.